Former Strikeforce lightweight champion and current UFC fighter Gilbert Melendez wants Conor McGregor to be successful against Floyd Mayweather Jr. when the two meet in the boxing ring on Aug. 26 in Las Vegas. The historic fight is the first time a mixed martial arts champion has taken on such a high-level boxer inside the roped square. Each sport’s reputation is on the line. Melendez hopes McGregor has a good showing, but predicts that Mayweather will win his 50th fight when they meet at T-Mobile Arena. “I want to see the MMA guy do well regardless of who it is. Am I cheering for Floyd? I wouldn’t say no. Even though Conor is not trying to represent the MMA community, he kind of somewhat does. I want to see him be successful because I want to show that MMA guys can box and spar at the higher levels,” Melendez said while appearing on The MMA Hour. Melendez fears that McGregor could get outclassed in one-sided fashion and diminish the public perception about the capabilities of MMA fighters. 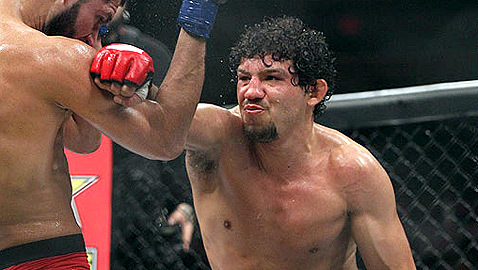 Melendez is intrigued by the match-up and will be tuning in to see the mega-fight. As much as he wants McGregor to represent MMA in a positive light, he picked Mayweather to win.